By just about any account, Tom Brady is the most accomplished quarterback to ever play in the NFL. He's a six-time champion, a three-time MVP, and has made 14 Pro Bowls. Part of the reason for his lasting success? He's offered the New England Patriots discounts on his salary so the team can build a competitive roster around him. Brady has made $197 million over his career, per Business Insider. But he's left between $60 million and $90 million on the table by restructuring his contract to a more team-friendly deal. In 2007, he took less money so the Patriots could sign Randy Moss. His latest restructured contract will cost the Patriots $22 million this year and $27 million next year. It's still a hefty amount, but look at teams like the Lions and Raiders. They're paying their quarterbacks a lot more money: Matthew Stafford has a deal that will pay him $135 million through 2023, while Derek Carr will make a little more than $125 million over the same amount of time. Neither quarterback is anywhere near as accomplished as Brady, with not even a playoff win between them, let alone a Super Bowl. Another quarterback looking to win a Super Bowl? Dak Prescott of the Dallas Cowboys. But don't expect Prescott to take less money. 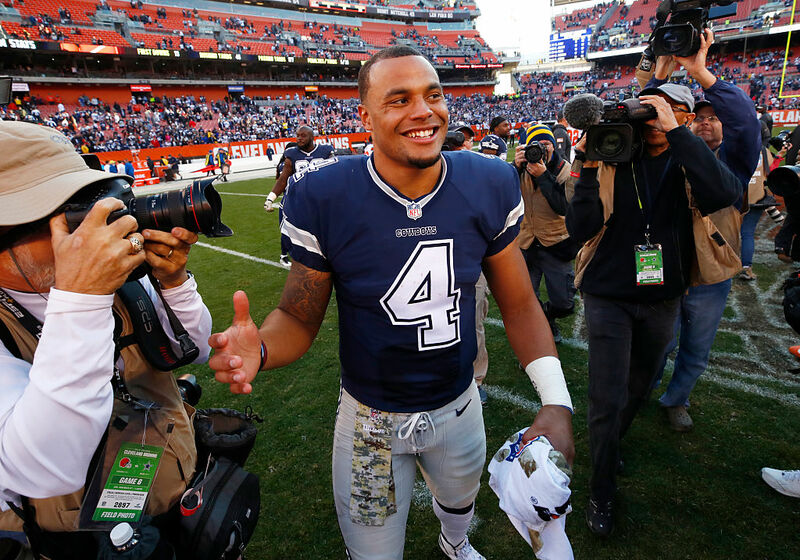 Prescott has a simple reason why he won't give the Cowboys a discount: he's not married to a supermodel. "Nobody's wife makes as much money as his wife [Gisele Bundchen] does either," Prescott told USA Today in an interview. "When Tom Brady isn't the breadwinner in the home, then that's a great problem to have. So in that case, he can do that. He can do his contract however you want to do it." Bundchen's net worth is $400 million, while Brady's is a modest $180 million. As a couple, that's an impressive haul. Of course, his wife is not the only reason Brady has taken discounts. In his eyes, the chance to win multiple Super Bowls is worth giving up millions of dollars. There's also the small matter that Prescott will have only earned $3 million by the time his rookie contract expires next season. That's a far cry from Brady, who's made about 49 times more than Prescott. Supermodel wife or not, Prescott wants to make sure he's getting money on par with what other quarterbacks are earning. Whether he's actually worth that is up for discussion, but if the Cowboys want to keep him around long-term, they're going to have to pay him accordingly.